New Delhi: The Indian traditional medicine system and Yoga can play a prominent role in checking Non-Communicable Diseases (NCDs). This was stated by Sh. Shripad Naik, Minister of State (Independent Charge) for AYUSH at the pre-event workshop of the first World Non-Communicable Diseases Congress 2017 in Chandigarh. The Minister said the Government has already started an All India Institute of Ayurveda and work on 66 hospitals all over India under AYUSH has already begun to promote traditional methods of treatment. Specialty treatment facilities are being created at AYUSH at all levels. 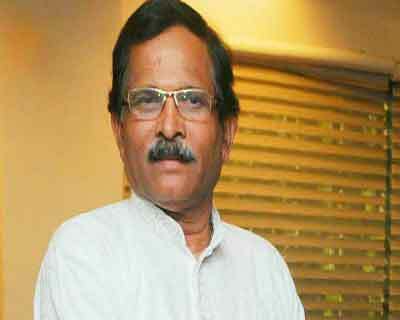 Shri Naik further said that NCDs have been the major cause of deaths in the recent years and are posing a big threat. Generally called life style diseases, these have now spread in rural areas also, the Ayush Minister added. Shri Shripad Naik said that scientists efforts to check NCDs are commendable but ancient systems like Ayurveda and Yoga have to be adopted as they take a holistic view of health and well being. Moreover, they are economical and safe. Shri Naik said that the Government intends to bring quality and differential changes in the health system in the country. AYUSH Ministry has developed a Yoga protocol for diabetes. Mission Madhumeh has been launched to provide an effective check to the menace of diabetes which itself is a root cause of many other health problems. The Minister said that the aim is to develop India into a Healthy India (Swasth Bharat). The three days Congress is jointly organized by “The World NCD Federation” & “Postgraduate Institute of Medical Education and Research (PGIMER)”, Chandigarh and will have several pre and post event workshops. The theme of the Congress is “Preventing Non-Communicable Diseases: Realizing Sustainable Development Goals (SDGs)”. Every one whether doctor or not play to the gallary .where is the proof that Ayuash works. They have no answer for infectious diseases , now they are talking of non communicable diseases. They should understand non communicable diseases have periods of remissions and exacerbation . Before implementing any thing govts have the responsibelity to verify and by scientific proof . Mr minister don\’t try to fool the public just because you r ayush minister. Ayush is bunkam spend the same resources and for portable water ,immunization,nutrition and things like that . Ayush fellows are idiots and even advocate gharba Sanskar. Exacerbation and remmisions are part of disease course. Remmisions can be called as cure Try to understand a diseases don\’t go by the advise of baba , swamijis ,gurijis and pple like that . Don\’t curb scientific temperament in the name traditional methods. Have you researched your opinion, before giving one. The typical leftist, shoot and scoot! Iam not a leftist . Iam scientist . Can you practice ayush without the background of modren medicine . If you have evidence name one ayush the so called medicine and it\’s biological effect let alone pharma logics . Yoga is also form of exercise nothing more than that , huge population in needs modren scientific medicine . Do u know how much these ayush fellows charge the patients ? All bunkam fellows without shame . It is nothing but quackery . Up grade yourself and accept the truth it is not about left ,right or centre it is about upside down science . U r all ignorant illiterate prejudiced quacks bothering about your lively hood at the cost of public . When u don\’t have knowledge abt communicable diseases how can you have knowldge about non communicable diseases . You are all hypocrites of heighest order . before commenting about anything ,go through that particular subject,otherwise u will proof urself a fool.u read and get ayurved properly and then comment. You copy every thing from modren TB of medicine and talk and practice in the name of AYUSH . U bunkam fellows have some shame and ethics . Stop practicing modren medicine you stick on to your the so called system if you guts .